How to make nail polish dry faster? 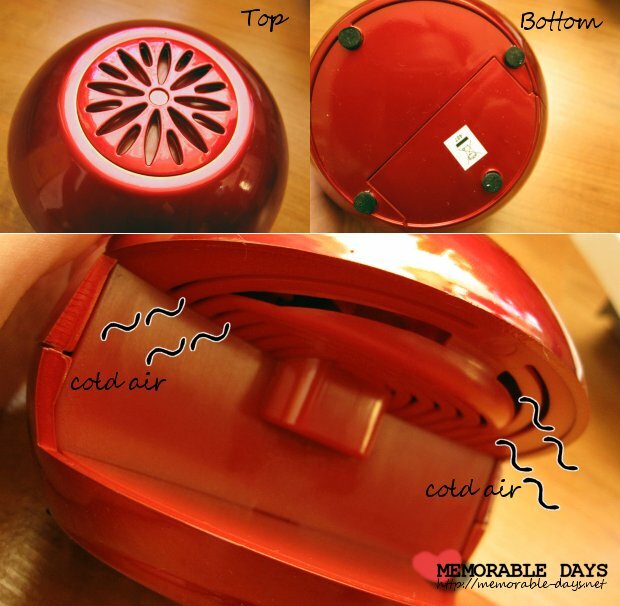 | Memorable Days : Beauty Blog - Korean Beauty, European, American Product Reviews. How to make nail polish dry faster? How to make nail polish dry faster? It usually depends on how many layers you apply or how thick you apply the nail polish. The thinner the coats the faster it will dry! We can use different ways to make the nail polish dry faster. Here are some examples: You can use quick-dry polish as your main coat and a fast-drying top coat. You can dry your nail polish with a blow dryer. Set your hair dryer to the coolest setting and blow dry it for 2 minutes. It's also possible to dip your nails in cold water for about 40 seconds to make the nail polish dry faster. The cold temperature helps harden the nail polish. I recently bought a nail dryer which works as well. The packaging is quite simple. 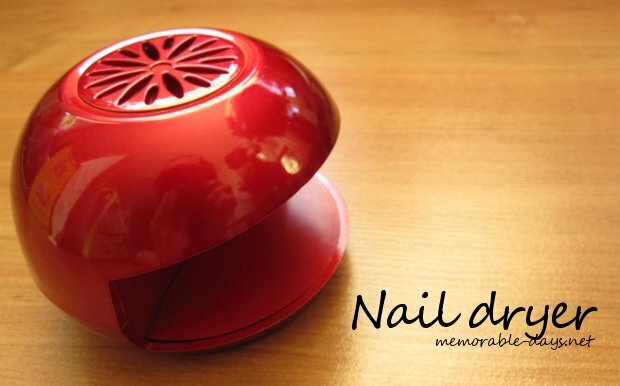 I do like the color of the nail dryer, it's red ^__^! I bought it at a Dutch store called Blokker for €5.- (batteries not included). The price is ok, not cheap but also not expensive lol. These kind of nail dryers are also sold on Ebay.com. In the picture below you can see the top and bottom of the product. 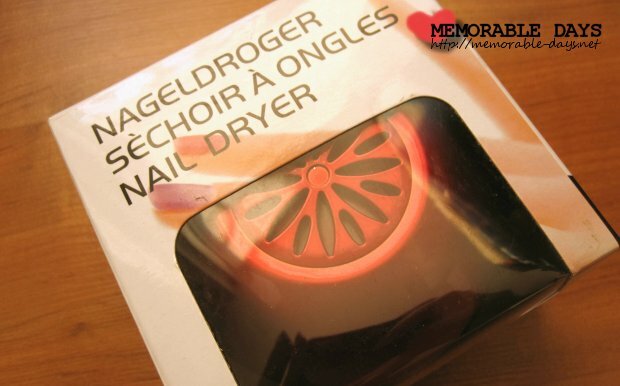 You can see the ventilator at the top and you need to insert 2 AA batteries at the bottom to make this nail dryer work. There is no "ON/OFF" button. You just need to put your fingers below the ventilator and press the surface down with your fingers. Cold air will come out. As you can see, only 4 fingers will fit on the surface. My thumb didn't fit, so I had to do it separately =(. While I bought the nail dryer, I was wondering if this thing would make heaps of noise xD. And yes it does.. It has the same sound as an old electric fan x__x". My nails dries faster when I put it under this nail dryer. It works! I usually put it there for 4-5 minutes, it's usually fully dried then. - It goes "ON" when you press the surface down (this is better than an on/off button). 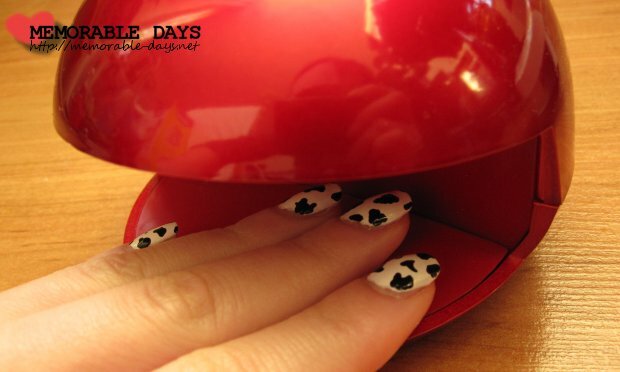 hahaha im more impressed by your cow nails sooooooo cute! awww, that's actually very cute! I can imagine putting gluing fake flowers and rhinestones on it XD I want one now! Maybe I should get one too.